It's only my 'umble opinion, of course, but I think this pontificate is like Vatican II on amphetamines. Nor could I resist this little photo montage of very recent events. Patriarch Bartholomew upon himself and the Church of Rome. “More than a place, it is a ‘state of being’ in which our deepest expectations will be fulfilled in abundance and our being as creatures and as children of God will reach full maturity. We will finally be covered with the joy, peace and love of God in a complete way, without any limitations, and we will be face to face with Him! It’s lovely to think of this, to think we will all find ourselves up there! All of us in heaven. It’s good, it gives strength to our soul,” Pope Francis said. So who is telling the truth? The Cardinal or the former press secretary to the Cardinal? Either Austen Ivereigh has 'got the wrong end of the stick' in a book on Pope Francis now published in the US, or the next day "rebuttal" from the retired Cardinal's new 'press secretary' is not true. Dr Ivereigh's account of His Eminence's 'canvassing' before the 2013 Papal Conclave is either true or false. The retired Cardinal has now in print denied it. Austen Ivereigh, however, has said nothing in reply. Of course, such an allegation regarding the former Cardinal Archbishop of Westminster is very serious indeed for reasons noted here. So wherever the Bishops of England and Wales organise a stadium-based event, Fr Timothy Radcliffe there doth go. 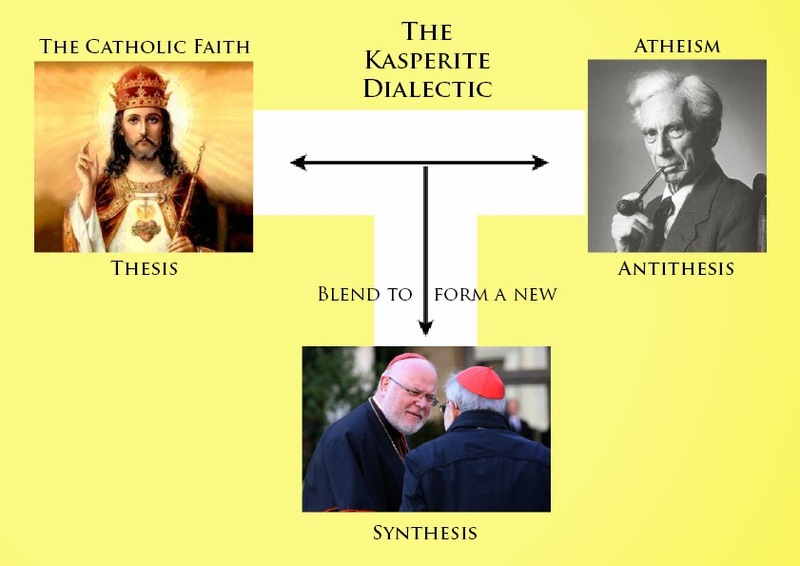 The year 2015 marks the Golden Jubilee of the Diocese of Arundel and Brighton and even if you still feel a bit weird and weary in the wake of Kieran Conry's exit from the Bishops' Conference of England and Wales, certain figures in the Hierarchy desperately want you to celebrate 50 years of Arundel and Brighton. So get happy! Well, obviously, I don't want to be considered a 'party pooper', but I'm not feeling terribly enthused about this AMEX Football Stadium-based festival. Exactly what is there, for example, right now at least, to celebrate? So, did money change hands for Porsche to hire the Sistine Chapel for a business event or not? Suspicions have been raised, so someone needs to tell the Pastor! "I hereby declare that I shall take my doctorate/masters degree/bachelors degree at an educational establishment other than Oxford University. I shall take my custom elsewhere, at an establishment that fosters an environment in which freedom of speech is valued and promoted." Let's hit these cowboys where it hurts! We could get this signed by 99% of the United Kingdom. I'm filling mine out and sending it today. 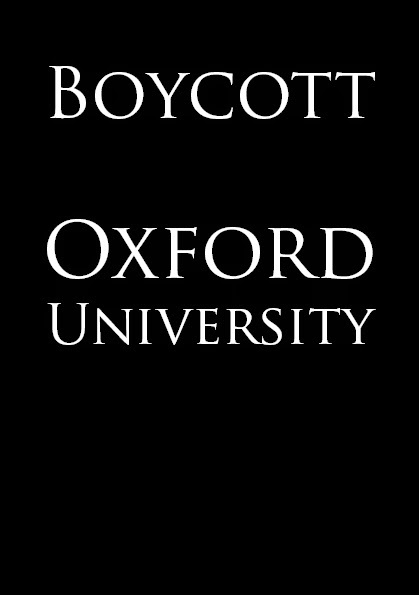 I was considering Oxford University for an evening class in the Alexander Technique, but I think henceforth I shall take my custom elsewhere! I don't know all that much about liturgy. I'm just under the impression that liturgy is a 'given' and that priests cannot simply do away with parts or aspects of liturgy on a whim, though we all know how problematic holding to such a view is in the post-concilliar Church. The above is taken from a newsletter from a parish church in the South East that I was handed. Have a read of it and let me know. 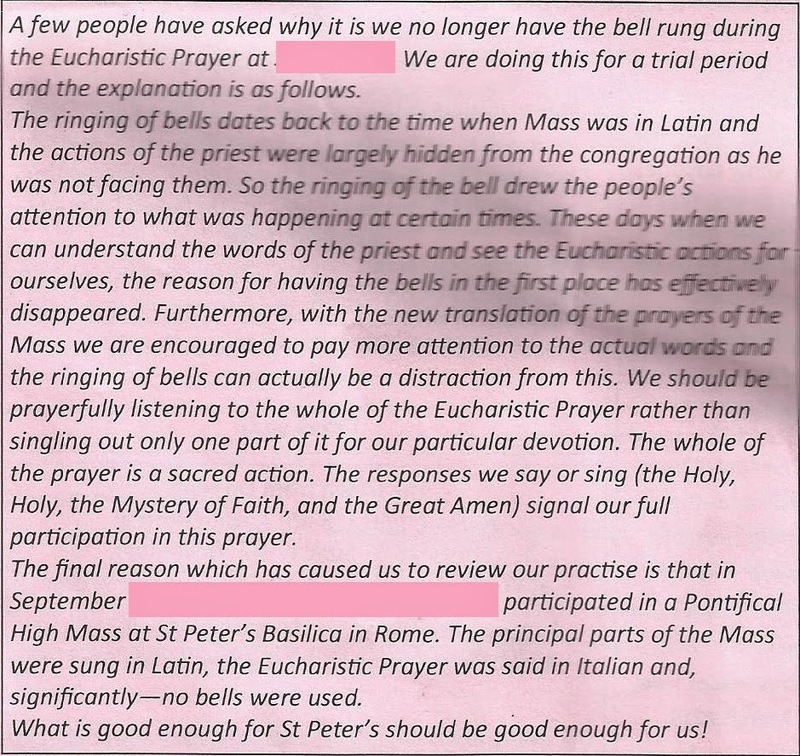 True to what was in the newsletter, there was no bell for the epiclesis or for the Consecration. Francis turns the Church into a marketplace Walter is the agent with the plan Francis says to Walter "Oh, you are two-faced! That Pentin interview pissed off the Africans!" 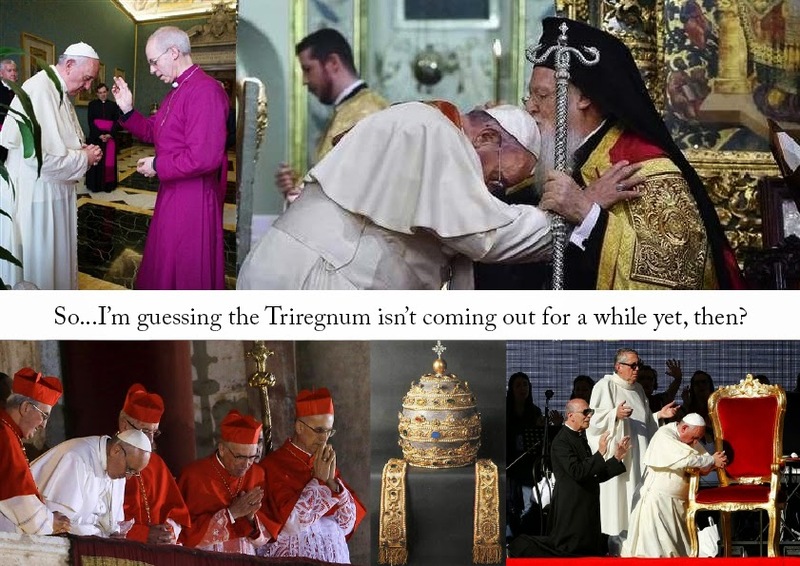 Francis takes his doctrine over to Raymond Raymond says, "This spits in Our Lord's Face", Francis says to Raymond, "You Pelagian! Did you hear the one about the Bishop who told a congregation that God doesn't love everyone? A fascinating theological exegesis emerges from a recent Pope Francis homily on light, dark and grey Christians and that is that God does not love everyone. There are light Christians, dark Christians and the grey Christians and 'God does not love these'. This is a controversial thing to say, for any Christian. Does God love the lukewarm, grey, mediocre Christian? Can God's love be earned? Who is worthy of God's love? Does God love the 'good Christian', let us say the Franciscan ideal, but loathe, or not love the 'bad or lukewarm Christian'. There is a petition to thank Cardinal Raymond Burke for his defence of Catholic truth, defence of the family and zeal for the Salvation of souls here. 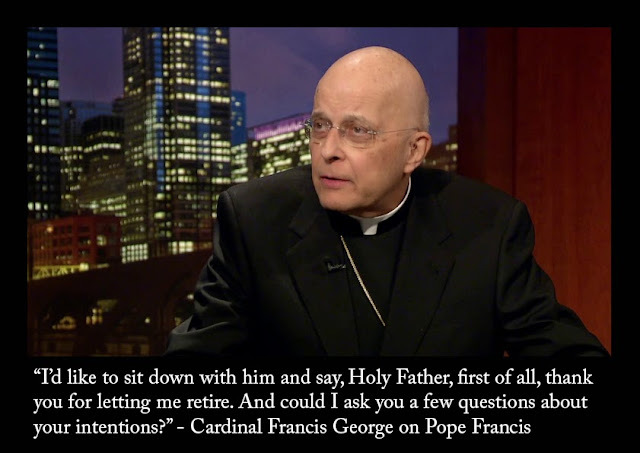 It is a great shame that this fine prelate's qualities are not highly regarded by Pope Francis enough to confirm him in his role as head of the Apostolic Signatura. Having defended Church doctrine and upheld the truth of Christ so fervently, one would think that the Vicar of Christ would mark the man out for an advisory role in his inner circle. "The efficacy of the Christian announcement would certainly be greater if Christians would overcome their divisions and could celebrate together the Sacraments and together spread the Word of God and witness to charity". In an astonishing move, His Holiness Pope Francis has graciously granted an interview to someone who is not a Jesuit and/or an atheist. That person is you! News just in that Alex Salmond, or at least his effigy, is to be burned in Lewes tonight for the Guy Fawkes Bonfire. No news yet on Pope Francis. If they don't burn the Pope this year, will that mean the Lewes Protestants regard the Holy See as sede vacante? 'God of infinite mercy, We entrust to Your immense goodness all those who have left this world for eternity, where you await all humanity, redeemed by the precious blood of Christ Your Son, who died to save us from our sins. Look not Lord, at our poverty, misery and human weaknesses when we present ourselves before You to be judged in happiness or condemned.Gaze upon us with pity, born of Your tender heart and help us to walk the path of purification. The following is the pastoral letter of Cardinal Vincent Nichols which was read to the Archdiocese of Westminster two Sundays ago. I post it here because it makes for incredibly concerning reading in the wake of the Synod. Cardinal Vincent Nichols uses some striking language that prompt more questions over the 'mind' of Pope Francis and the safety, in his hands, of the Deposit of Faith.